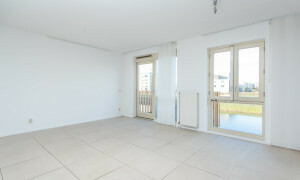 Already rented! But we still have more properties! 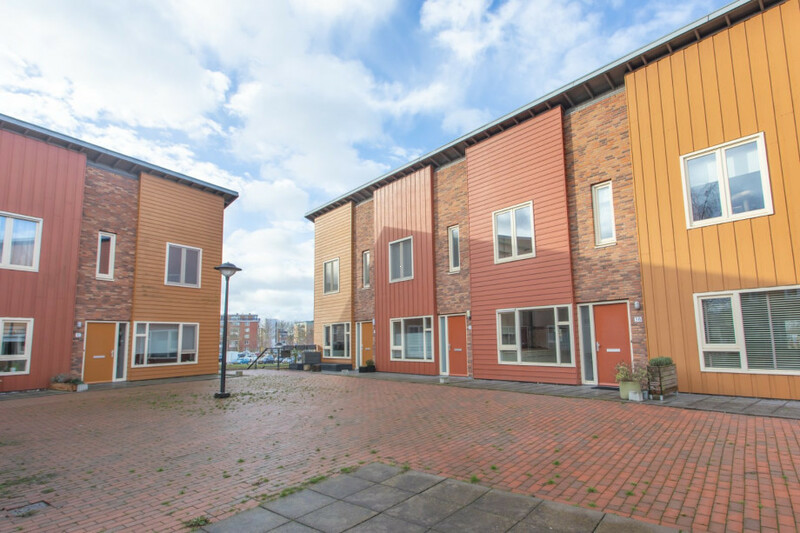 In the popular district of Sveaborg en-Dal, on the edge of the leisure area Midden-Delfzijl, lies this spacious 3-room courtyard house. 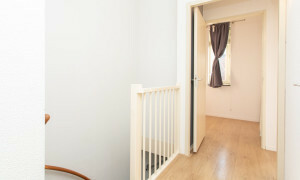 This duplex is quietly located in a child-friendly residential area and has its own parking space and storage room in the enclosed basement. 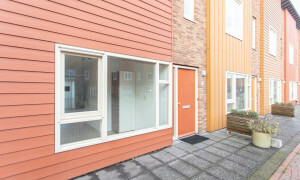 The house is built according to the Swedish architectural style and has a unique location with direct access to the rear water and green and at the front an open courtyard with children's play facilities. Beautiful living on his Swedish! 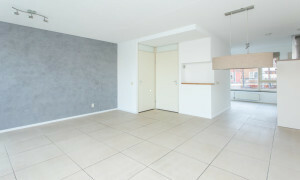 The garage and storeroom (5.30 m²) are located in the basement of the complex. 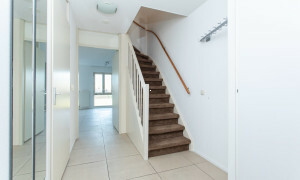 If you leave the garage on foot, you will arrive at the quiet, car restricted square where the entrance to the maisonette is located. Ideal for outdoor children, but also for adults it is very quiet. 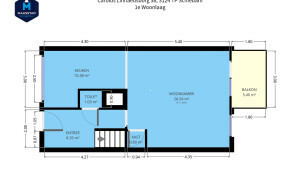 (10.38 m²), the separate toilet with a fountain (1.03 m²) and the staircase to the first floor. 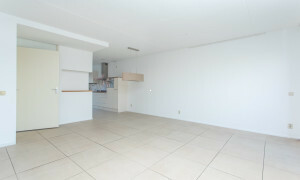 The spacious and bright living room with open kitchen features a beautiful tiled floor and sleek stucco walls. 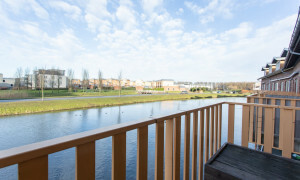 The spacious and sunny balcony (5.40 m²) can be reached from the living room and offers unobstructed views over water, greenery and the district of Svealund and Dal. 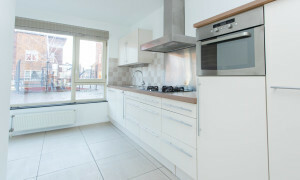 The modern, fully fitted, open kitchen has a gas hob, extractor hood, combi-Microwave, koelvries combination and plenty of storage space. 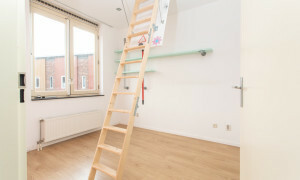 In The living room you will also have a stair cupboard (0.80 m²). 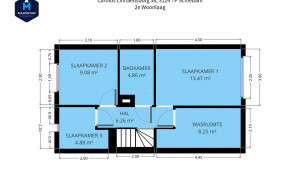 The landing on the 2nd floor (6.26 m²) offers access to the three bedrooms and the bathroom (4.86 m²). 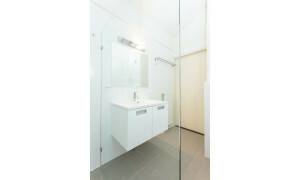 The overflow is neatly finished with a nice laminate floor and sleek walls. 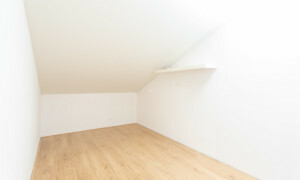 Bedroom 1 (13.47 m²), located at the rear, is spacious and bright and has a nice view. Bedroom 2 (9.08 m²) is located at the front and is spacious and bright. 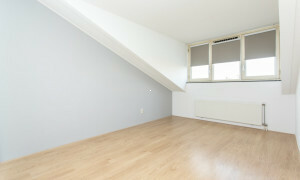 In This bedroom there is a retractable loft staircase leading to the very spacious loft. Convenient to store certain items neatly and out of sight. 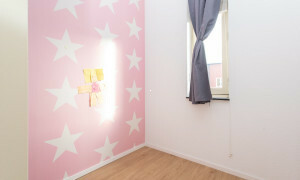 Bedroom 3 (4.88 m²), also located at the front, is ideal as a baby or work room. 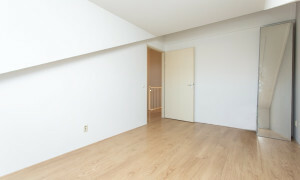 All bedrooms are neatly finished with a nice laminate floor and sleek walls. 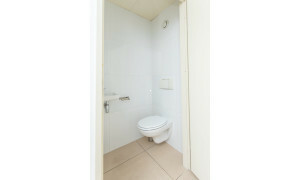 The spacious and fully equipped bathroom is equipped with a toilet, vanity with mirror, a walk-in shower and a radiator. 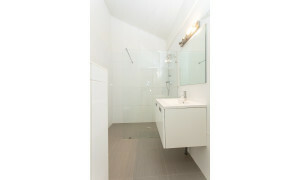 The bathroom is neatly tiled. 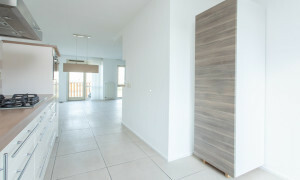 For the washing machine and dryer there is a very spacious, separate laundry room (8.25 m²) with connectors available. In This space the CV-boiler is prepared. 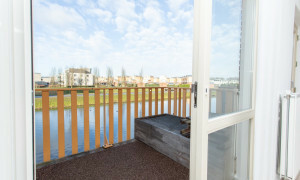 The entire apartment is equipped with double glazed windows and is fully insulated. The upholstery of the house consists of folding, blinds and slats. The stairs are equipped with carpet. 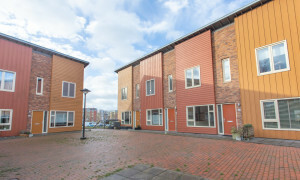 The district of Sveaparken is characterised by its spacious child-friendly design with public green facilities, water corridors and city canals and a quirky architectural style to Swedish model. This gives the living environment something special. 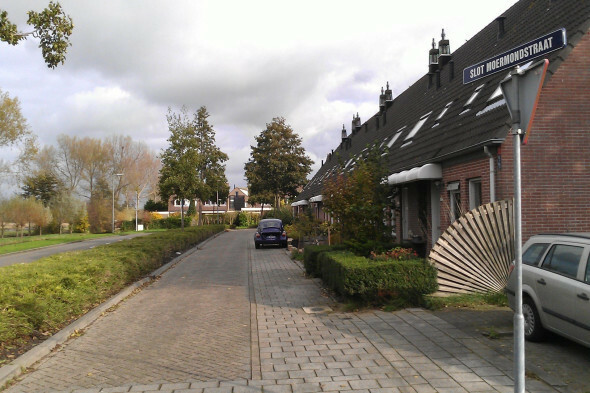 In addition, it is located at the northern edge of Schiedam and is adjacent to the protected nature reserve, also recreation area Midden Delfzijl. 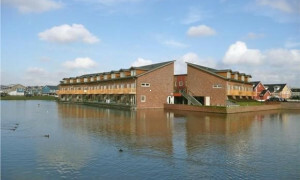 In This typical Dutch polder landscape you can go hiking, cycling, skating and boating. Wonderful recreation! 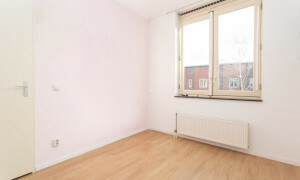 Public transport is well arranged and the centre of Rotterdam and Delft are so easy to reach. Exit roads are located in close proximity. 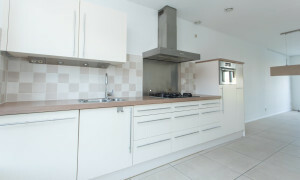 - Private enclosed car park in the basement. Plenty of free parking at your doorstep. Is your interest aroused? Do you need more information? Call or mail us for more information or to schedule a visit. Besides, visits are also ´ at night and on weekends.